The capacity of microSD storage chips gets bigger along with the swelling of application file size, photos, videos, and more in gadgets or digital cameras. 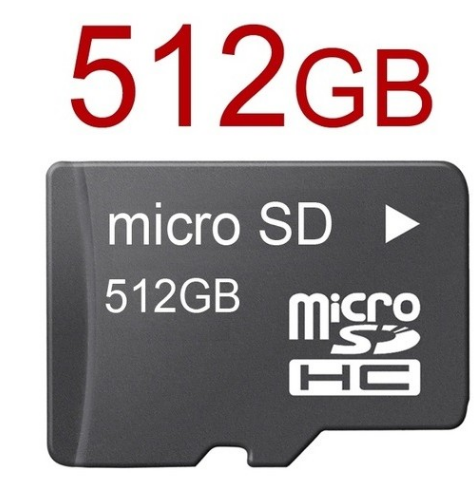 MicroSD card size 64 GB is now quickly able to fill up quickly. Memory card with a larger size was finally made. It turns out that the producer is not a well-known memory producer, such as SanDisk, Kingston, or Transced. The manufacturer is called Integral, a British digital storage company. They announced that they will release a 512 GB microSD card in February 2018. If planned, Integral can claim to be the first manufacturer in the world to produce microSD for it. Previously, the largest capacity microSD record held by SanDisk in mid-September. The existence of Integral-made microSD that automatically shifted SanDisk to second position. Not only the larger capacity, micro-storage container made by Integral already supports fast data transfer. This Integral memory card is SDXC UHS-I U1 which supports Standard Video Speed ​​Class V10. The write speed of MicroSD card Integral penetrate the number 10 Mbps and read speed 80 Mbps. Even so, the speed of reading this card is still lower than the 400 GB microSD owned by SandDisk. Integral has not announced the price of this jumbo size microSD officially. If compared with a 400GB microSD SandDisk is priced at 249.99 US dollars, 512GB Integral microSD predicted slightly more expensive. Although not yet compatible with a number of newer mobile phones, this external storage chip can be used for future devices. Call it Samsung Galaxy S9 is rumored to increase the storage capacity up to 512 GB.